Abstract Teacher supervision and evaluation practices were examined in Nebraska schools. Quantitative and qualitative methodology was incorporated in the study. A questionnaire mailed to one hundred fifty randomly selected principals sought the principals' perceptions of supervision and evaluation practices in their schools. Ten classroom teachers supervised by each principal were randomly selected to respond to the same questionnaire. A factor analysis of the questionnaire data found factors that were related to the principals' supervisory practices. Involvement in classroom life, reporting of classroom observation data, efforts to conduct preconferences, and use of alternative sources of information were described by the factors. Multivariate tests found significant differences between the perceptions of principals and teachers. Individual schools were ranked by computing mean score differences between the principal and the teachers supervised by the principal. The rankings ranged from schools with common perceptions between the principal and teachers to different perceptions between the principal and teachers. Three schools with common perceptions and three schools with different perceptions were studied in context. Documents related to supervision and evaluation were collected and interviews were conducted with the superintendent, principal, and teachers to gather information regarding the factors, the implemented components of the supervision and evaluation program, and the documents. Principals in schools where common perceptions were held emphasized formative evaluation. These principals visited classrooms frequently, communicated with teachers regarding instruction, involved teachers in setting instructional goals, reported classroom observation information objectively, conducted preconferences, used sources of information in addition to classroom observations, were committed to supervision in instruction, and collaborated in their work with teachers. Principals in schools where different perceptions were held emphasized summative evaluation. 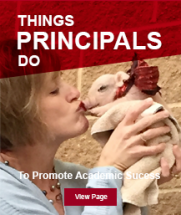 These principals rarely visited classrooms, used questionable criteria in classroom observations and evaluations, did not communicate with teachers regarding instruction, exhibited less commitment to supervision of instruction, and showed little collaboration with teachers.